The all NEW 2018 Dorema Daytona AIR is now available in an air tube configuration in a world first for traditional caravan awnings. 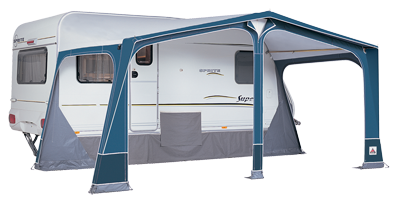 This proven model was voted by us as our best selling awning and now is even easier and faster to erect while still being manufactured to the strict and technically advanced production techniques of Dorema for the Australian market. The 2018 Daytona Air uses the very latest EAF (Easy Air Frame) air tube system, the main Air frame consists of 3 roof, 3 leg, 3 angles and apex tubes which all inflate together from one valve with additional air tube roof and leg supports erected separately on sizes 8 – 19. Using a central single air inflation point means a very fast erect time, all tubes have a standardised non-return valve fitted and comes supplied with a high-volume foot operated pump with a built in pressure gauge. This allows the Daytona touring awning to be erected in minutes. 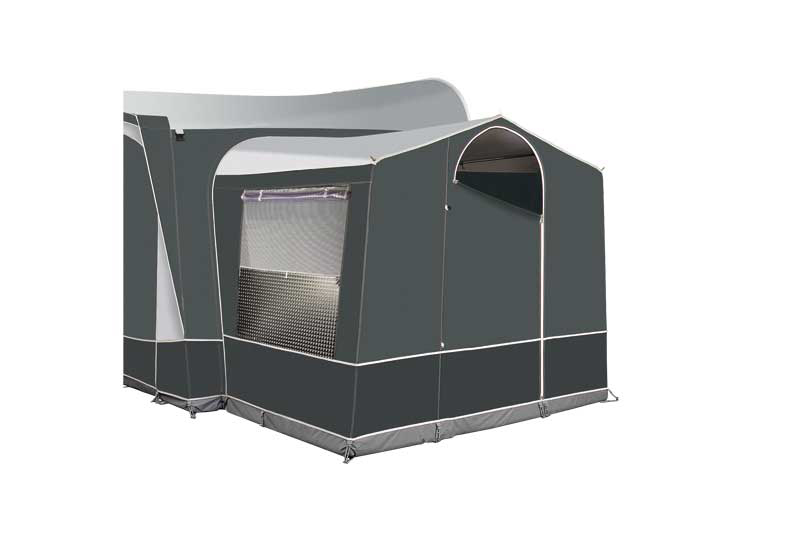 As in all quality Dorema awnings the Daytona Air is manufactured from European ten cate double coated polyester material on the roof and walls, all the rest of the features and profile are the same as the alloy framed Dorema Daytona. Daytona Air awnings still give you the choice of adding options such as an annex room or a front porch canopy as shown below. Window curtains come as standard on all Daytona’s. You will notice there is no need for guy ropes….ladder strap fittings around the base ensure the awning is pegged to the ground securely with no more tripping over in the dark after not seeing a guy rope, a safe lock system ( storm straps ) is supplied as standard allowing protected use in heavy weather. In high winds the Daytona Air is amazingly strong, when winds gust the awning simply flexes and then reverts to its original position, if this was to happen to a regular framed awning the poles would remain bent and un-useable. 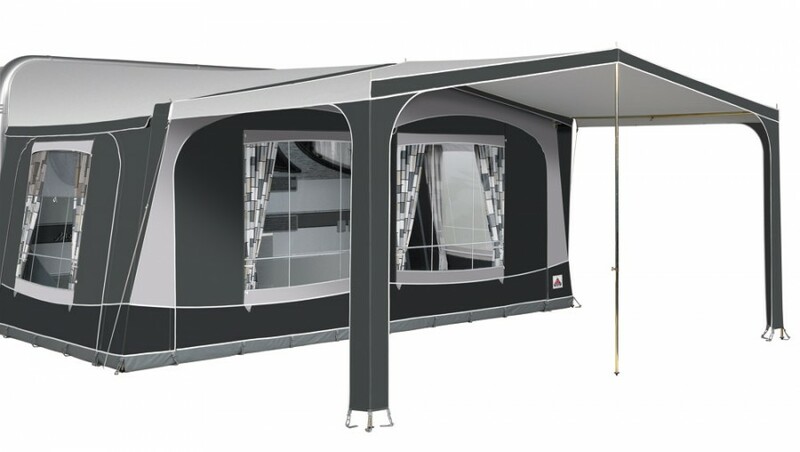 The Daytona is available in a range of sizes from 725cm to 1125cm so you can be sure that we have the correct size for your caravan, to ensure the correct size is obtained please contact us using the above quote me form giving the details of your caravan and any options required and we will return with a sizing and a no obligation quotation. Covered zips in matching material for added protection. Please note: Price includes delivery to your door within Australia.